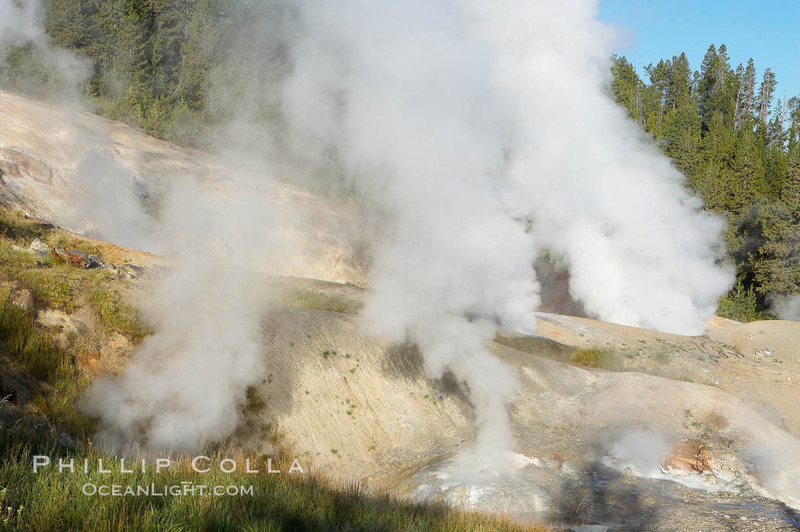 Norris Geyser Basin is one of the principal geothermal areas of Yellowstone National Park. Loaded with fumeroles, steaming hot springs, geysers and other generally hot-as-hell nasty holes in the ground, Norris Geyser Basin is best seen on a cool morning when it billows forth steam. The two photos below are from the Porcelain Basin trail. Ledge Geyser, vents releasing steam, in the Porcelain Basin area of Norris Geyser Basin. Steam rises in the Porcelain Basin. 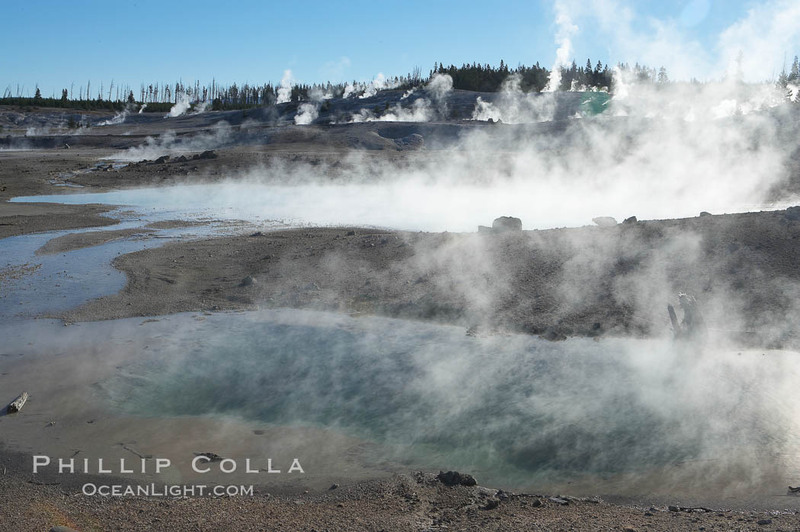 See more photos from Norris Geyser Basin.